Side Bar & Restaurant is holding its 2nd annual Charity Golf Outing on Monday, July 11th, 2011 at Downingtown County Club. 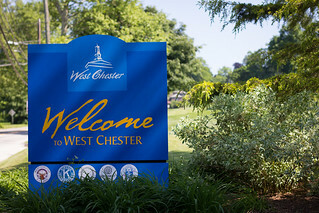 A portion of the proceeds from the golf outing will be donated to the Chester County Hospital Foundation SHINE™. If you would like to participate in this outing, please complete a registration form and return it to Side Bar & Restaurant as soon as possible. You can visit their website at www.sidebarandrestaurant.com for a registration form. Following the golf outing, Side Bar & Restaurant will provide an open bar/buffet at Side Bar & Restaurant that golfers and non-golfers are more than welcome to attend. Prizes and Awards will be distributed at that time. Additionally, there will be a silent auction.